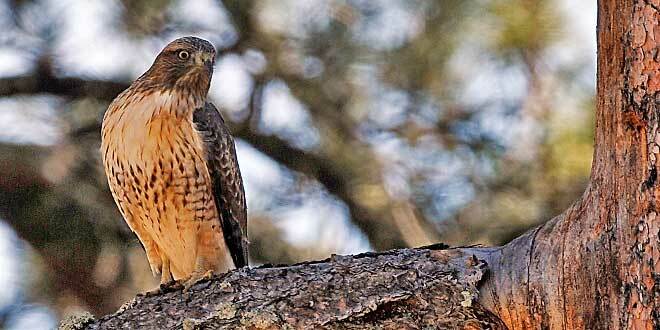 New guide provides public with birding hot spots. 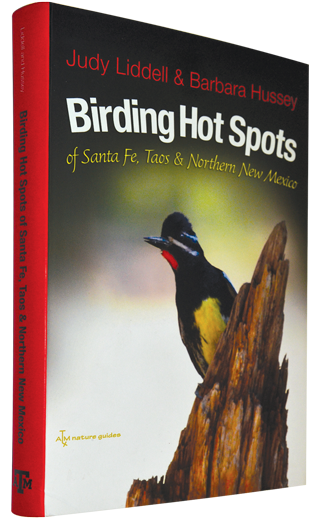 Finding the best spots to locate birds in northern New Mexico got easier this past year with the publication of “Birding Hot Spots of Santa Fe, Taos, and northern New Mexico” by Judy Lidell and Barbara Hussey and printed by Texas A&M University Press. Like their earlier field guide to finding birds (“Birding Hot Spots of Central New Mexico”), this guide is an indispensable resource to anyone interested in birds and exploring the north-central part of the state. It is carefully researched, concise and thorough. The hundreds of interviews they conducted in writing this guide is testimony to their detailed research. The text covers seven counties and reviews the best birding spots in-and-around Santa Fe, Taos, Enchanted Circle byway (Questa, Eagle Nest, Angel Fire), Jemez Mountains and Los Alamos, along Rio Chama, Cochiti Lake, upper Pecos River, along I-25 north of Santa Fe and, best of all, two high-elevation sites in the Carson and Santa Fe National Forests. Under each of these larger areas, they delve into the particular hotspots to visit. Besides the usual description of facilities, camping, gas, food and lodging they have a bulleted list of “target” birds with a couple sentences about where to look and what time of year targeted birds are likely to be found. The book also includes a longer list of “other birds” that might be encountered. “Birding Hot Spots” has 13 crisply done line maps to help navigate to desired locations. While the print is small on some maps, they are quite helpful. There are just enough sharp, descriptive photos to keep things interesting and the sturdy binding and book cover will hold up nicely in your pack or back seat. The book includes natural and cultural history as well as an excellent summary of vegetation types and life zones. Just to make sure you are prepared, the authors include a list of safety concerns for the areas you plan to visit. This is the first guide I’ve seen to mention which sites already have been identified on eBird as a “hotspot.” The eBird website is the place for birders to report the birds they have seen, maintain their own lists and search for what others have found. It also provides valuable information for researchers collecting mega-data on bird distribution and abundance. It was exciting to see several New Mexico Department of Game and Fish Wildlife Management Areas and hatcheries included as hotspots. Many of these protected areas are relatively unknown to the public, but offer outstanding wildlife viewing opportunities. The authors do a fine job of explaining the current process (stay tuned for updates in 2016) for obtaining the necessary permits for access to department areas. Easy access urban sites such as the downtown section of the Santa Fe River are included along with more remote destinations such as the strenuous hike up to Jicarita Peak to find the white-tailed ptarmigan. An annotated checklist of birds is a welcome addition and well done. Even if you are not wild about birds, this is a fantastic site-based guide for camping, hiking, fishing and exploring northern New Mexico’s wildlife areas, parks, monuments, nature centers, refuges and forests. Who knows, you just might head down that slippery slope of watching birds. Although I would like to see an updated edition of the “2002 New Mexico Bird Finding Guide” (by the New Mexico Ornithological Society) “Birding Hot Spots” ranks among the best of any regional bird finding guide in the country. I hope the authors already have plans for writing more guides for the southwestern and northeastern corners of New Mexico.